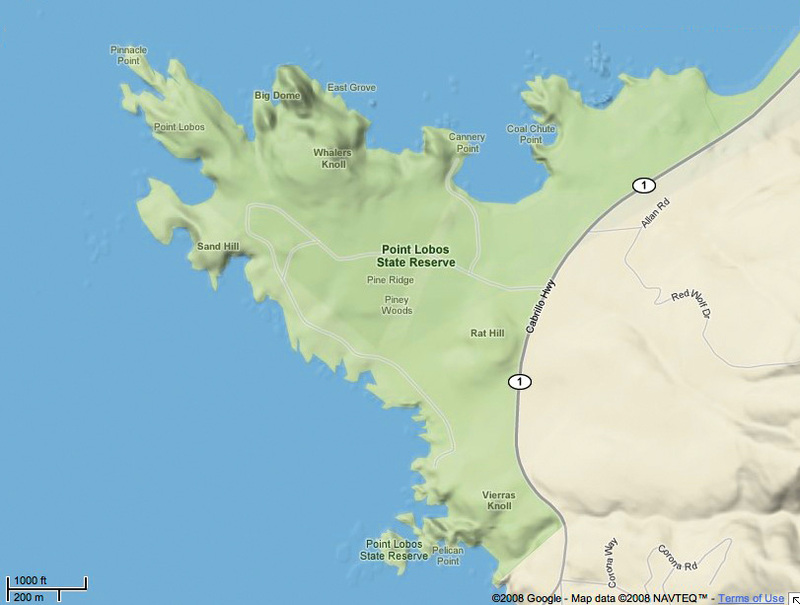 Three Days in Point Lobos and Carmel. 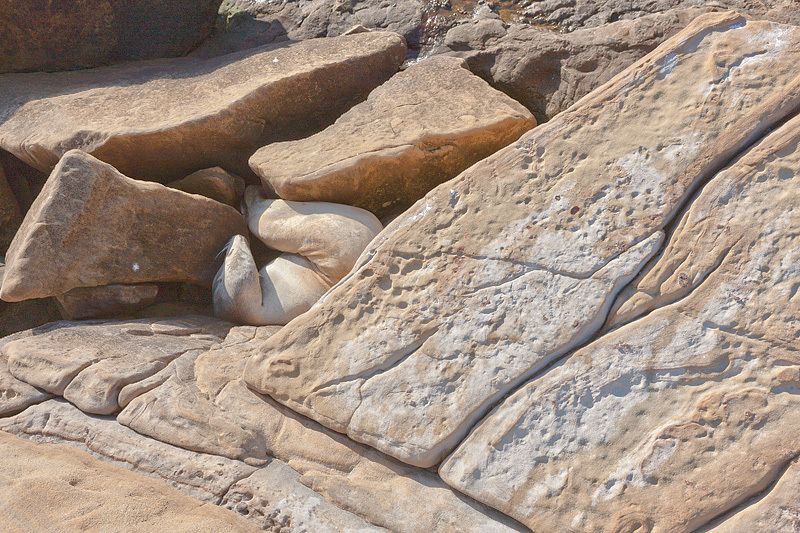 Fieldwork at the park and visits to Photographer's Studio, Carmel Galleries. Lectures and presentations. 9am to 5pm with some evening activities on Saturday and Sunday. Free 8x10 print with the workshop. 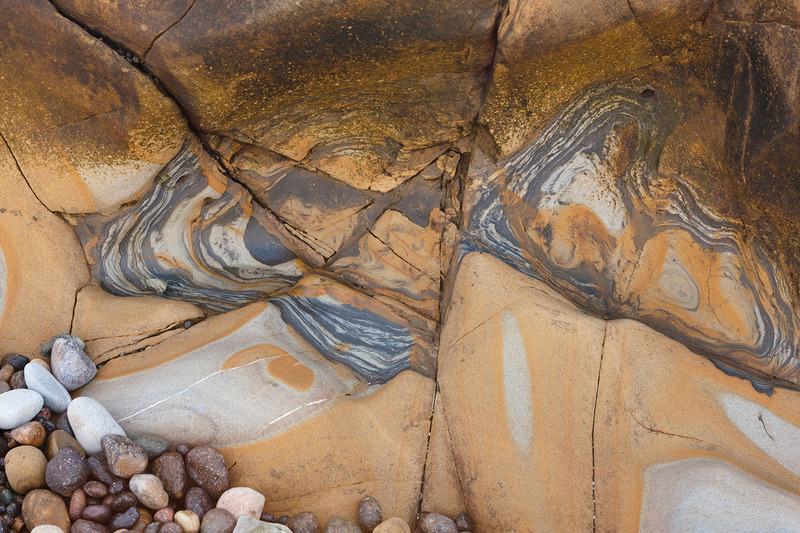 Rock and Pool. Pt. Lobos. 1977. Pt. 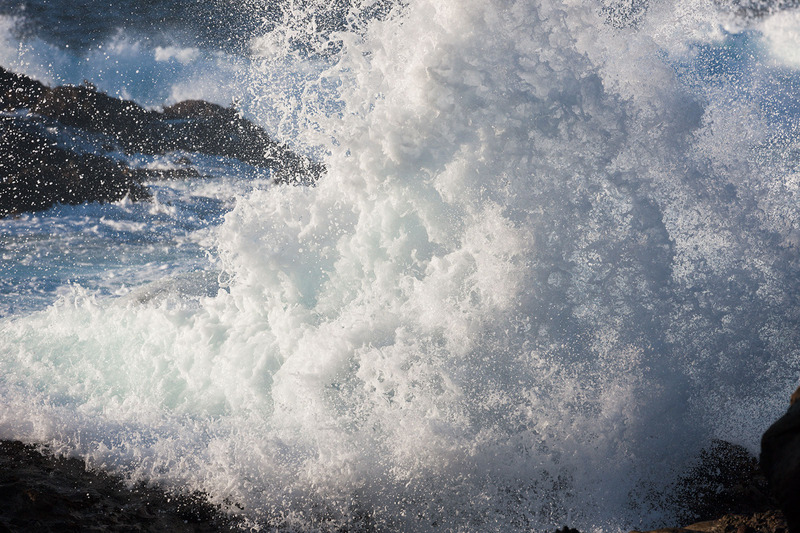 Lobos is synonymous with west coast landscape photography. 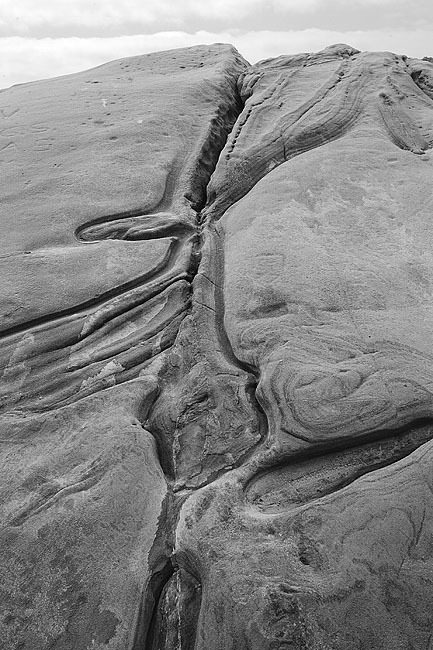 It is where so many of Ansel Adams and Edward Weston's photographs were made. It is where so many photographic pilgrimages have been made. It is where Friends of Photography and countless other workshops have concentrated their attention. It is, to say the least, a spectacular and well photographed location. But it remains a place of great allure, wonderful rock formations, floating kelp forests, and amazing color of surf and wave.
" I learned more in those two and half days at Pt. Lobos about digital photography than I have in a lifetime! Just understanding how to use the gray card to get white balance right alone was worth all of it!! Thanks, Steve. Even though I live quite close to Pt. Lobos and have visited the park so many times over the years, you gave me a perspective of the beauty of this great place that I had never seen before. And just that one shot of the curious seal made my trip. Steve is a great teacher, artist and wizard!" 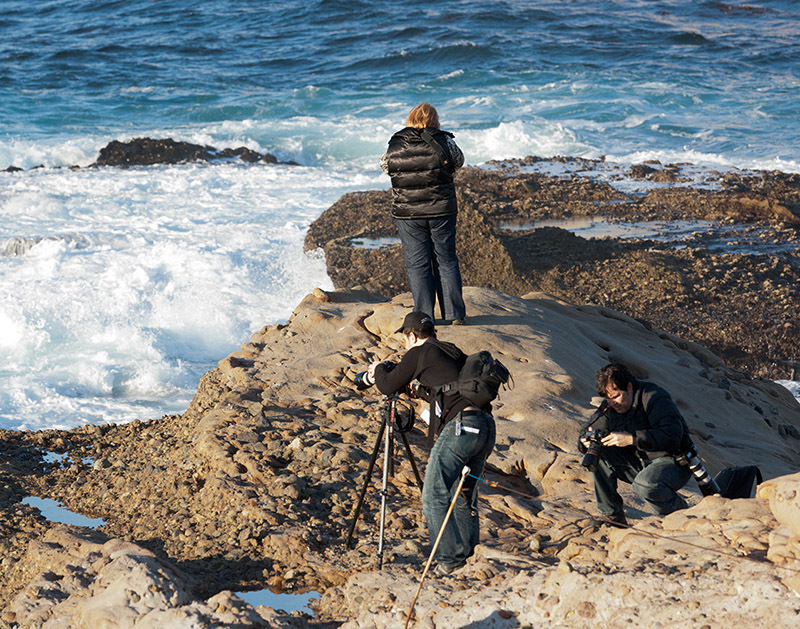 "Point Lobos has a revered place in the history of photography. 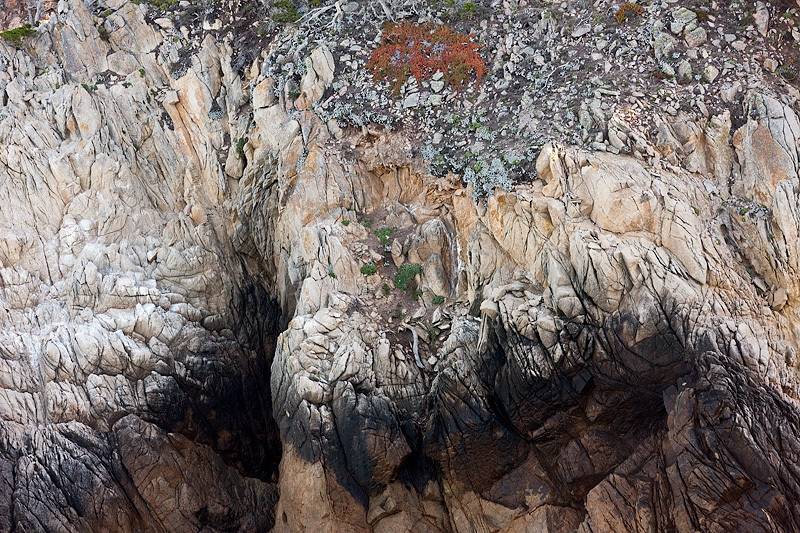 Stephen helped me see the present beauty of Point Lobos and shared much of its former glory. I will always treasure meeting Al Weber and spending the afternoon at his studio. There is no better teacher than Stephen Johnson. YOU are the reason for the workshop and he is passionate about helping YOU become a better photographer. Honest, kind and always willing to help make a Stephen Johnson workshop a remarkable experience. Stephen Johnson is a great photographer- and a greater friend. His love of nature and its beauty will inspire your work." left: The Weston Gallery. right: Quicktime VR of my Exhibition at the Center for Photographic Art. 1997. We'll explore this great location over the period of a few days, review our work and then go back. 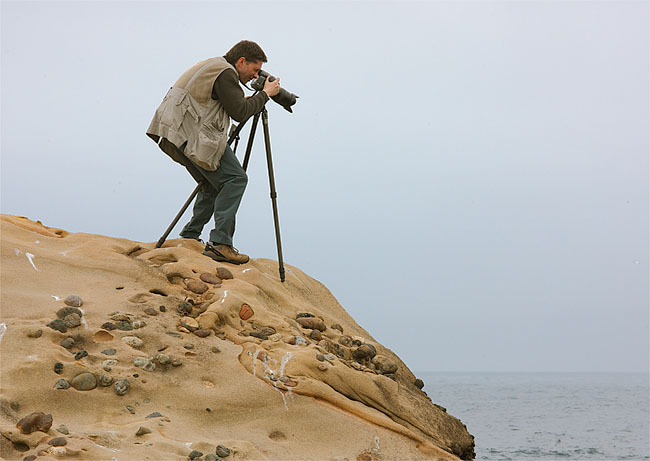 As part of exploring the photographic and exhibition history of the region, we'll visit Carmel photography galleries, likely eat well, and meet career photographers in this three-day immersion into classical California landscape photography. 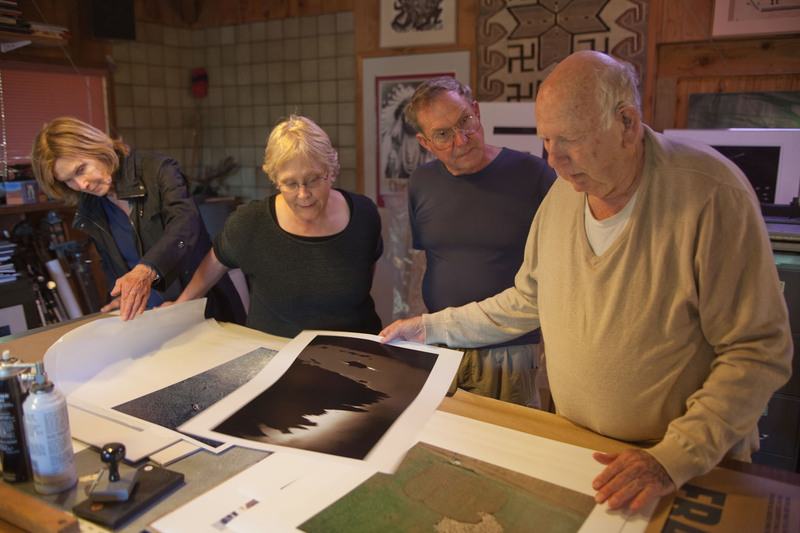 Workshop Visiting photographer Al Weber's Studio, 2011. The workshop will be a dynamic combination of a traditional landscape photography workshop while diving deep into the digital age. Technical and aesthetic considerations will be discussed in detail. Our concentration will be on controlling your camera's operation to achieve your desired technical results, while building composition and visual skills to make the photograph what you want it to be. Digital exposure and dynamic range, composition, emotion and amazement-all will be part of our 3-day excursion into the evolving world of digital photography. 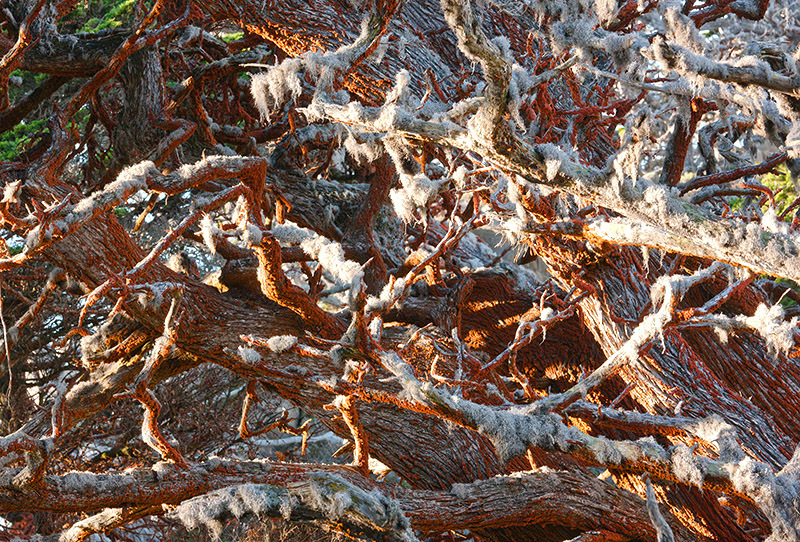 "Last year I went to Point Lobos with Stephen Johnson for a photography workshop. He is very approachable. Stephen is involved with every student during a workshop. He strived to help me see what what he sees. His help examining my choices in difficult compositions has helped me considerably. I credit my time spent in Stephen's workshops with helping me to see beyond documenting a scene. It was my third workshop with Stephen. I am sold on his style. 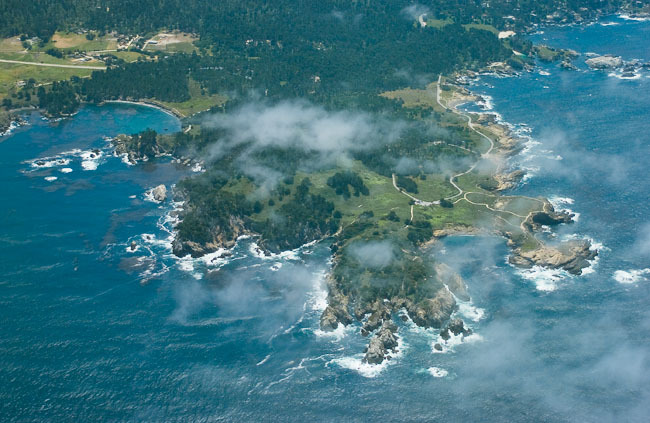 Pt Lobos is one of the most spectacular coastal locations anywhere. Combine the location and the hands on advice from a master photographer and digital photography pioneer and you can't help but have an incredible experience. Meeting Mr, Weber was a special treat. We also visited a few Carmel Galleries including the Weston Gallery. In a word - inspiring!" A photographer, teacher and designer, Stephen has been teaching and working in photography since 1977. His books include At Mono Lake, the critically acclaimed The Great Central Valley: California's Heartland and Making a Digital Book. 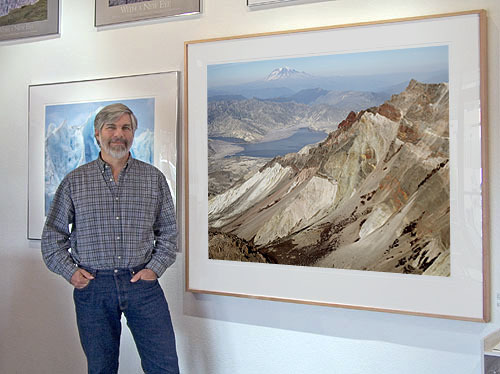 He runs his own photography, publishing and design company--scanning and designing his photographic books using a Macintosh computer and since 1994 photographing in the field with digital view cameras. Stephen's pioneering work in digital photography, desktop color separations and digital imaging has included software and product development for clients such as Apple, Adobe, Eastman Kodak, Leaf, Ricoh and SuperMac. His work with Adobe includes the creation of the duotone curves shipped with their Photoshop software. In 1999, Folio Magazine declared the publication of Johnson's digital photographs in Life Magazine to be one of the Top 15 Critical Events in magazine publishing in the twentieth century. As early as 1997 Apple Computer awarded Steve their "Profiling Excellence" Award at Print '97 in Chicago. Stephen Johnson was named as a 2003 inductee into the Photoshop Hall of Fame, recognized for his achievements in Art. Canon named Steve as one of their Explorers of Light in 2006. In 2007 X-Rite named Stephen as a founding member of their exclusive Coloratti group of photographers and educators honored for their skills in color management. Photographic clients have included the Ansel Adams Publishing Trust, the Fine Arts Museums of San Francisco, and the Friends of Photography. Johnson's photographs have been widely published and collected internationally. In 1997, Life Magazine described Stephen Johnson as an artist that "...applies science to nature and creates art." 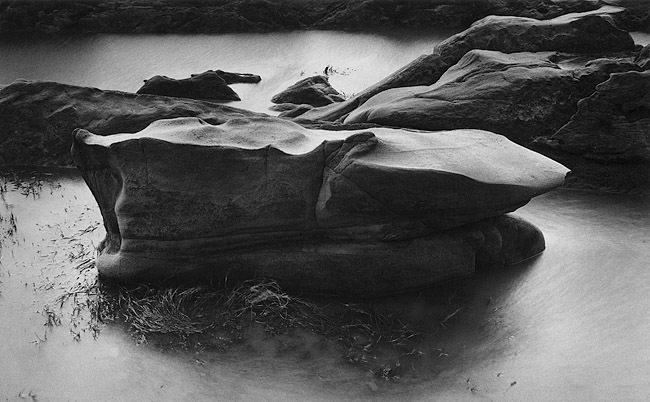 His images create "...an intimacy that brings subject and viewer close in ways conventional photographs cannot." This workshop is financially dependent on adequate class registration. Where minimum enrollment requirements are not met, the class will be canceled, and a full refund given. You will be notified at least one week in advance if a workshop is not going to take place. Student initiated cancellations received prior to one month before the workshop will receive credit for a future workshop of similar value, a 50% credit will be given for notice received at least 2 weeks immediately prior to the workshop (a full credit less a $50 overhead fee will be given if another student is able to fill the spot from a waiting list). No credit will be given if cancelled less than 2 weeks prior to the workshop. Credits need to be redeemed within one year. You should consider the purchase of refundable airline tickets as we cannot guarantee adequate enrollment to conduct the workshop. Photographs and Text Copyright ©2012, Stephen Johnson. All Rights Reserved.